"Why Nigeria will never split into two or more countries"
Nigeria, a consolidation of northern and southern territories, in a very similar faction came really close to splitting in the 60s. It led to a sad war. The Biafran War lasted several years, and, still similar to Sudan, was fought for the control of resources. It was one of the first instances where starvation and famine combined with Media/PR was used as a war weapon. The media drew in the aid industry and dictators used the resources and planes to bring weapons to prolong the war. The book War Games by Linda S Polman described this scenario in more detail. Succinctly put, the war achieved its purpose of countering the secession of Biafra from Nigeria. And ever since then Nigeria has remained one...supposedly. Nigeria is not a monolith North or South. Yes the north is majority Muslim while the south is majority Christian but culture is the big connector. Some say we have over 300 tribes, others say it is under 40 and the rest are just branches. If Nigeria were to break up (which would be a disaster), it would be in a much greater number than 2, at least 3, likely 8. The economy, society and religion are all interwoven. Nigeria is made up of soft and flexible identity structures. The Northern Muslim isn’t always Muslim, most of the time he is a meat seller in a Southern Christian city cognizant of the fact that he earns more there than he would in his home region. Then there are also many Christians from the South who have business interests in the North, or have lived there almost all their lives, who realize that in the Christian South, social class will count far more than religion. And in the midst of all these, other minor tribes sandwiched in-between form a further strengthening bond. 2. The second and perhaps most significant reason for Nigeria's oneness is the strong ‘unity among thieves'. This trait is exhibited by Nigerian politicians, and the elite class in general. In other words, the people who have the power to break the country are united in impunity, looting of national resources and political scheming. At that level, there is no Muslim or Christian, no Hausa, Ibo or Yoruba. 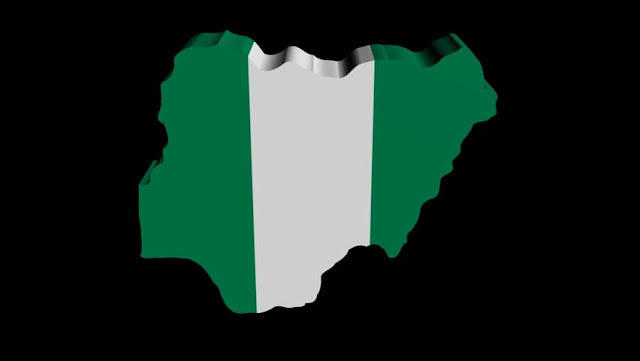 Nigeria is as one as the symbol 1 stands. Worst part, their children are going to the same schools with each other, hanging at the same parties and intermarrying each other. This somewhat oligarchic arrangement will never be alive and see the division of Nigeria.